Adam Levy as Peter in NBC’s “A.D. The Bible Continues.” Photo: Joe Alblas/LightWorkers Media/NBC. NBC’s religious drama, A.D. 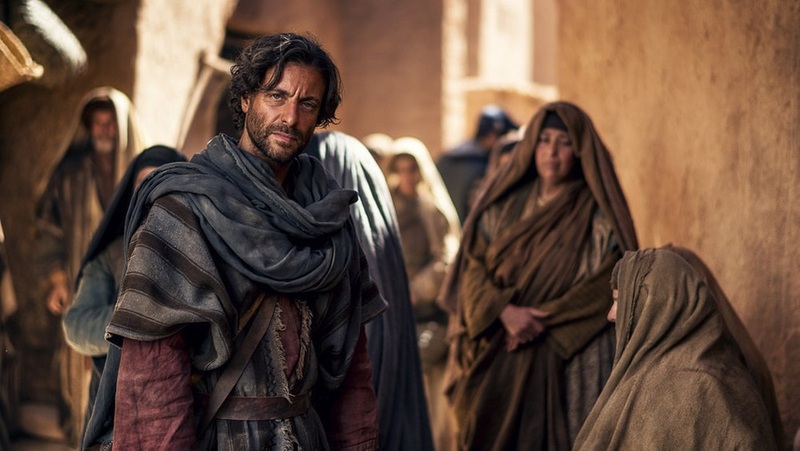 The Bible Continues, which starred Juan Pablo Di Pace, Richard Coyle and Adam Levy, has been cancelled by the television network after just one season. The series had served as a continuation of the successful The Bible saga, chronicling stories from the seminal years of Christianity, and debuted as a miniseries to 13 million viewers in spring 2013 on the History Channel. Although NBC is not commenting on this recent move, according to TVLine, the show’s TV ratings had been dwindling each week since its Easter Sunday premiere, possibly contributing to their decision. Initially bringing in 10 million viewers and a 2.3 demo rating, A.D. showed great promise in becoming a nationwide hit like its predecessor. However, TVLine reports that by week four those numbers were cut in half, with the show reaching only four million viewers (and a 0.7 demo rating) by the final four episodes. But fans of the series need not despair, as there is still a possibility that the show will be resurrected by producers Mark Burnett and Roma Downey via their burgeoning digital channel, which is said to be a hub for all types of faith and religious focused content. In fact, Variety reports that “Burnett and Downey see it as a perfect tentpole for the launch of the OTT channel.” Of course, as with anything novel, devotees of the show will have a bit of a wait before they can see their favorite actors on-screen again (provided they won’t be recast! ), given the channel is not expected to debut until late 2016 or 2017. Then again, that’s why reruns were invented! You can re-watch (or catch up) on past episodes of “A.D. The Bible Continues” on Amazon Instant Video, Hulu and NBC.com. ← Johnny Depp Puts His Estate in Southern France For Sale: You Have To Take A Look Inside (And Outside)!